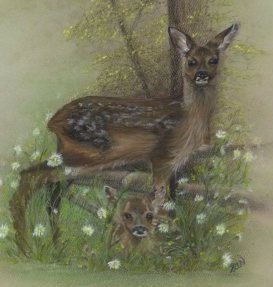 An original, signed mixed media painting of Deer in the Meadow. Measurements are 39.5 x 49cm including frame. Showing deer in the meadow, one lying in the long grass and the other standing over in a protective manner. 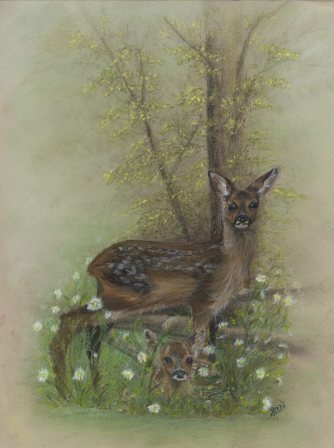 The misty background of woodland, plus the broken fence and floral foreground gives a lovely picturesque surrounding for the two beautiful deer making a gentle, tranquil scene.